Of Procrastinating and Being Half-Cocked | Where Have You Been Lately? You know how travelers love to procrastinate? Yeah, that bad habit of packing things when it’s just a few hours away your scheduled trip? 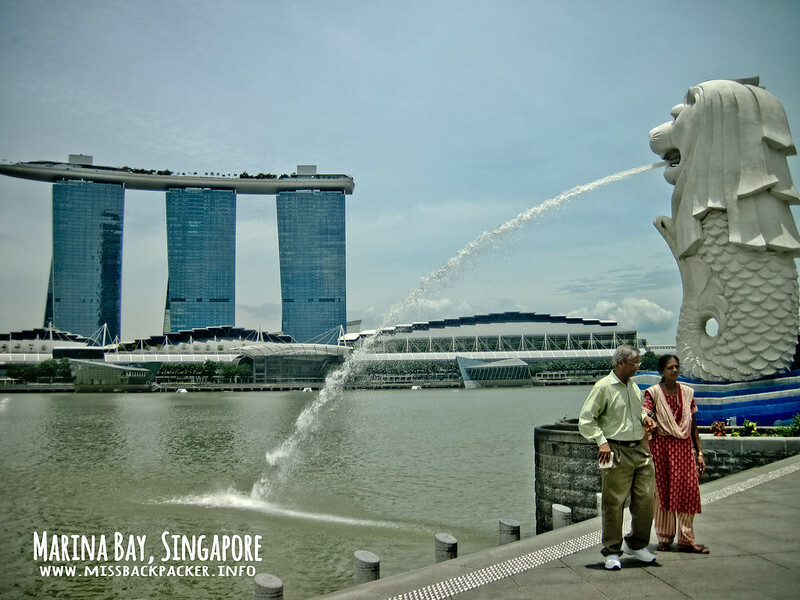 That’s what we did when we were bound for Singapore (SG), pack things for a month-long trip in under two hours. Our flight was scheduled 1:25 PM and guess wut, we left home at 12:20 PM after the late packing we did. We arrived at the check-in counter 12:54 PM. Naturally, it was already closed for more passengers for our flight. I begged that the airline crew let us in telling some sort of lies of us getting stuck in Skyway where no taxis would pass and all. The lady behind the counter switched on her radio and asked the person on the other end if they could let us in. Luckily, our flight was delayed and so we were still allowed to check-in. I ran back and forth the counters for the travel tax payment and the baggage drop. Sweating from all the running I did (Rowjie had to stay at the check-in counter to keep an eye on our baggage), we were cleared to board. We immediately ran to the immigration counter for our document check. Sighs. The immigration officer (IO), upon learning that we were going to Nepal and that we were just making a quick stop in SG and Kuala Lumpur (KL), got all excited saying that she wants to go to Nepal as well. She asked a lot of questions not about our trip but about things like where to stay, what to do, how much should she bring, and all the touristy kind of questions. We politely answered all her questions of seemingly half an hour of Q&A session. Once done, we got our passport stamps and went running again, this time, to the boarding gate. As luck would have it, we arrived just in time for boarding. The ground stewardess just announced that the gates were now open for boarding and was already asking the passengers of our flight to line up. The slow-paced boarding gave me the chance to call my mobile provider so I could have our lines temporarily cut. When we boarded the aircraft, we found ourselves seated in the very last row of the plane. And that, my friends, was how we managed to dodge paying for another set of tickets to SG. Oh, by the way, did I mention that we scored our tickets for a very good deal of Php 101.00 each? I know, right? 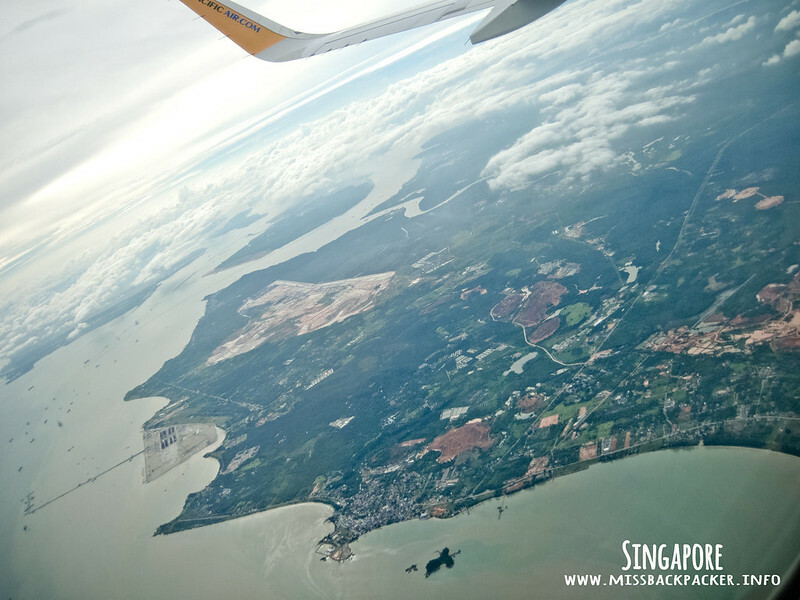 Since our flight to Singapore was delayed, we also arrived a bit later than expected. I’ve heard of horror stories of tourists that were denied entry to SG because of lack of documents to present to IOs. With that in mind, I had all my tickets and hotel vouchers readied. 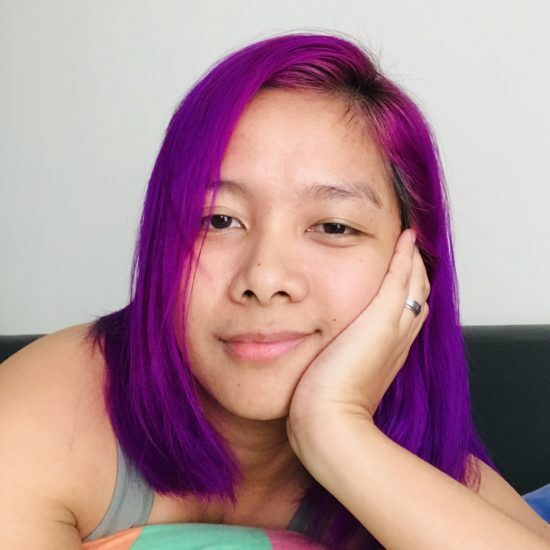 Our host, Katkat, even emailed her IDs and other SG documents that could help with our entry. 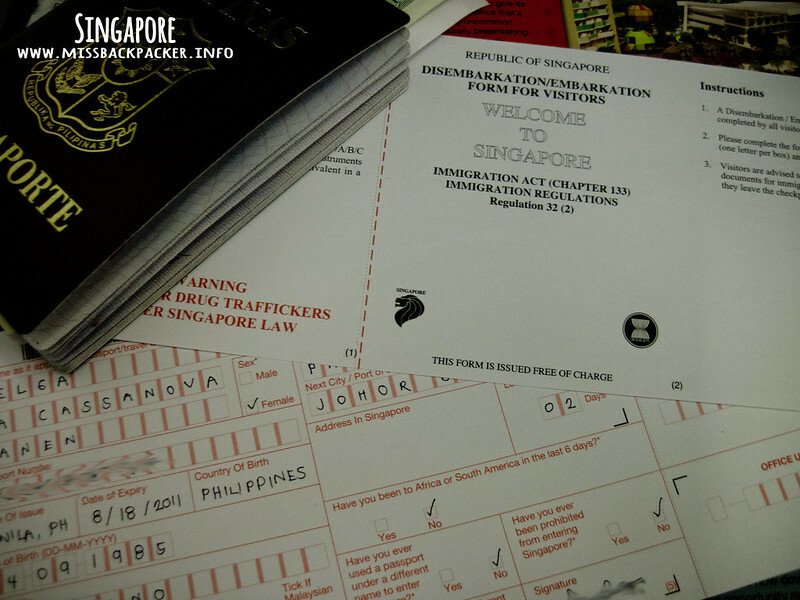 The immigration forms that were handed to us during our flight required us to fill it out with all the information of our purpose in SG. I wrote all the info asked except for the address. I thought it was fine to leave it empty as I really didn’t know Katkat’s exact address. Despite all the documents I presented to the IO, she still asked for the address of the person I was visiting. I rummaged through my bag to look for my phone. I knew for sure that Katkat included her address and I was just too confident not to study her papers. While browsing my phone, a lot of notifications from Ria, Katkat, and Feli started to pop up asking where we were and if we already arrived. Eto si Ate, taranta na at hindi magkamayaw kung ano uunahin. Katkat provided everything we needed so I found her address in one of the documents she sent me. When the IO stamped my passport and Rowjie’s, I felt relieved. Fine. This a lesson that most of us should learn from. When going abroad, prepare ALL documents needed and allot several hours not just for getting through the interrogation immigration but also not to miss your flight otherwise, things can really get ugly, if you know what I mean. Now we just had to buy the two liters of whiskey Ria asked us to buy in Duty Free. I didn’t know until that time that when buying in any Duty Free, one passport is equivalent to one liter of alcoholic beverage. The lady in the payment counter heard me and Rowjie speaking in Filipino so she greeted us in our local dialect. Aha! Kababayan! Great to hear familiar language. When we had our money changed to some SG dollars, we searched for the exit point where the buses headed to Ang Mo Kio Hub are located. We found the terminal and waited for a few minutes for the bus to arrive. I just couldn’t recall which platform it was. It also was a good thing that I remembered Emma telling us that we always need to bring exact amount when riding buses or trains in SG as they do not provide change. So when we hopped on the bus, we just dropped the exact amount for our fare in the box that, to me, looked like a donation box and searched for empty seats. After almost an hour of traveling, we arrived in Ang Mo Kio Hub where all of our friends were waiting, Rich (who arrived in SG at 9:00 AM that same day and who was traveling with us to Malaysia), Ria, Katkat, and Feli. All of us were and are Sony employees. ☺ It felt like we were just in the Philippines except for all the Chinese signs everywhere I look. We had a quick exchange of hellos and kumusta then off we went to Katkat and Feli’s apartment (they live in the same complex but different units). 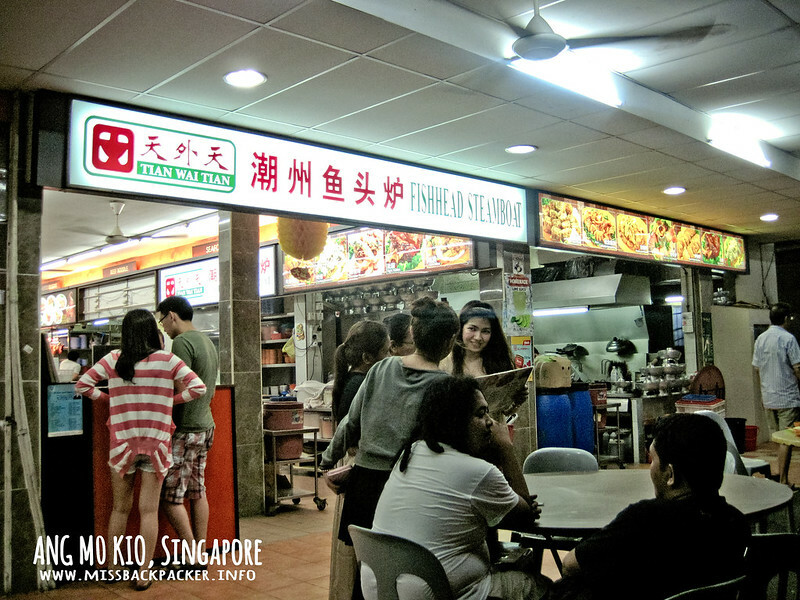 Since it was already late, the group decided to just eat in one of the hawkers within the complex. So, these are how the popular hawkers of SG look like. And just like any Filipinos with visitors, Ria, Katkat, and Feli treated us and paid for our sumptuous dinner. We ate a lot that I could not recall what we had. After eating, we had to bid Ria goodbye as she lives in Yew Tee which is a bit farther than Ang Mo Kio. I just regret I didn’t have photos of just the two of us. Next time. ☺ We accompanied her to the bus stop. She needed to go back to Ang Mo Kio Hub where she had to catch another bus to her residence. She checked her phone and learned that the bus would arrive in just a few minutes. Apparently, there is an app you can download which tells all the info you need when traveling in SG. Distance, travel time, fare, route, and a lot more. Cool! The bus arrived, we hugged each other, and waved farewell. We went back to Katkat’s unit where a few bottles of beer courtesy of her and Feli were awaiting. Our Php 202 worth of plane tickets almost went down the drain because of our procrastination and being half-cocked, a situation that could’ve been really expensive.